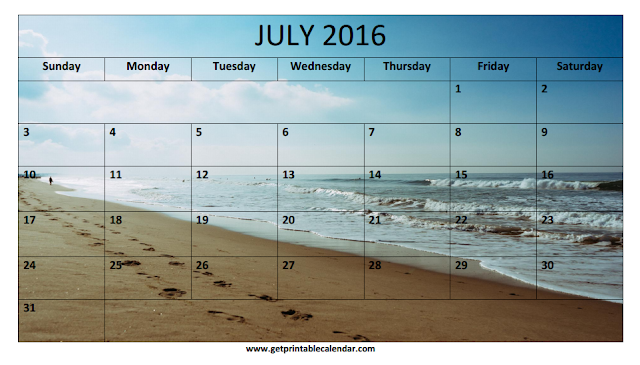 July 2016 Beach Calendar: Here we are with four beautiful beach calendar templates that you can download or save in word (doc) and PDF format. 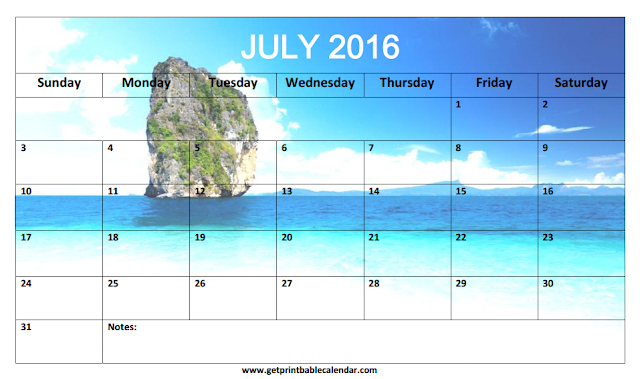 The calendar templates shared here are completely free and you can take the print out after download them. The download icons are available right below the calendar image, you can also download the image by clicking right on the image. 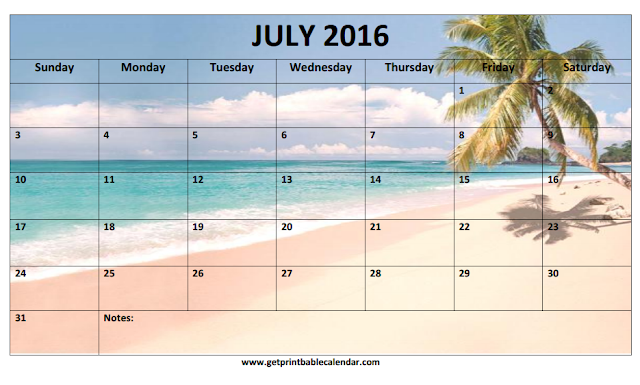 The purpose of sharing these templates is to help in making your July month a good one. Write down important notes, or anything important on the calendar or just use them for decoration purpose. The use of these calendar templates is not limited, use them in any possible way you want to. In case you're looking for other calendar templates of this month such as blank calendars, holiday calendars, moon phases calendar etc then please click on the link shared below. 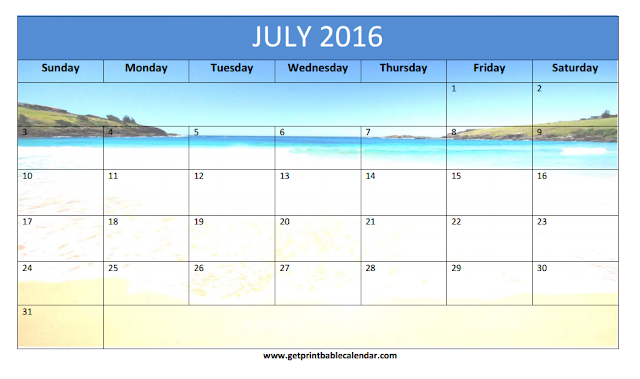 If you liked this collection of July 2016 Beach Calendar Printable then please share this as much as you can. We're trying to fulfill all the calendar needs of people, so please help us growing, if you've any suggestion or demand to make then use the comment section provided below. We would love to hear you. For more calendar templates in various other formats, you can check out our previous articles as well.